Today I'm celebrating my 30th birthday. I officially feel old. I feel like any immaturity that I could get away with in my 20's is over. However, I am super excited for my 30's. I've accomplished everything I wanted in my 20's and now it's time to move on to a new decade with lots of new exciting adventures to look forward to. I can't wait to see what my 30's will bring. 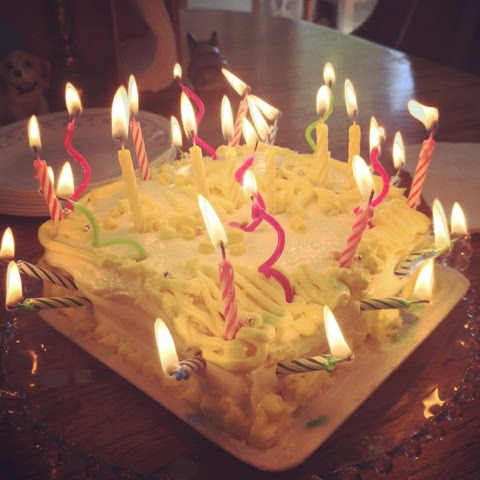 30 candles. I'm surprised the smoke detectors didn't go off.